Competition will commence 5:00pm (AWST) Monday 4th April 2016 and concludes at 9:00am (AWST) Monday 2nd May 2016. One (1) winner will be drawn and each winner notified by email &/or mobile phone call. Entry of promotion is open to any individual who is a permanent resident of Western Australia; over the age of +18 year of age at the time of the prize draw. 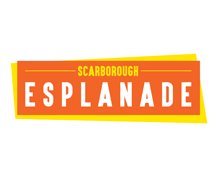 One (1) winner will receive one (1) prize pack of an overnight stay at Rendezvous Hotel Scarborough, at the conclusion of the promotion. The competition is not open to retailers, tenants, staff or any affiliates with property management, or the property owners. The Prize is subject to availability and blackout dates do apply. The prize can not to be used in conjunction with any other offer. Prize comprises of overnight stay in a lead in room only. Mini bar, in room expenses and other hotel facilities are not included within the prize pack. It is a condition of entry that entrants must comply with all the conditions of use of the prize. Additional expenses incurred as a result of accepting this prize are the redeemer’s responsibility and Colliers International (WA) , shopping centre property owners or its affiliates accepts no liability or responsibility in respect of the same or for any loss or injury suffered as a result of accepting the prize. The promoter will take no responsibility for lost or damaged entries or damaged prizes. Colliers International (WA) reserves the right to exclude any person from this promotion for any reason whatsoever, at any time before, during or after the competition period. In all matters, all decisions of Colliers International (WA) will be final and cannot be contested. No correspondence or discussions will be entered in to. If for any reason this promotion is not capable of running as planned, due to causes including but not limited to tampering, unauthorized intervention, fraud, technical failures or any other causes beyond the control of the Colliers International (WA) which corrupt or affect the administration security, fairness, integrity or proper conduct of this promotion; Colliers International (WA) reserves the right in its sole discretion to disqualify any individual who tampers with the entry process, take any action that may be available, and has the right to cancel, terminate, modify or suspend the promotion entirely. Entry details including name, address, email address and contact number is required upon entering the competition.